Use to determine when grill surface has reached proper searing temperature for fish or steaks. Range 100°F to 600°F. Magnet attaches thermometer directly to grill grates. 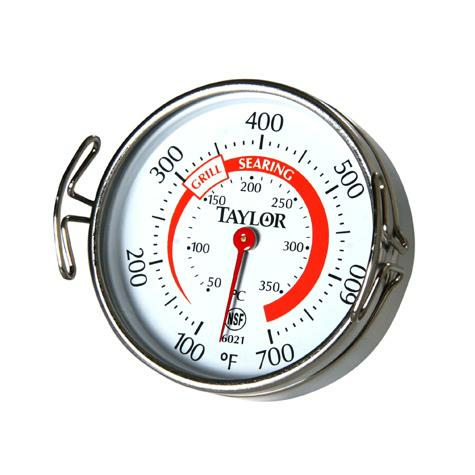 Includes stainless steel coil for lifting thermometer with a spatula. Large 2" dial face. Red pointer and dial graphics. Stainless steel construction.